Product prices and availability are accurate as of 2019-04-09 18:58:48 EDT and are subject to change. Any price and availability information displayed on http://www.amazon.com/ at the time of purchase will apply to the purchase of this product. 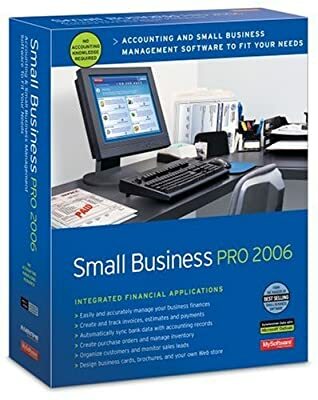 Small Business Pro gives you the tools you need to manage and grow your business efficiently. It provides you with integrated finance and customer management tools, including general ledger, balance sheet, invoicing, and more. Small Business Pro is the only financial software that offers you flexibility on the number of licenses you need per feature. The product is modular as well as integrated to fit the size and needs of your company.